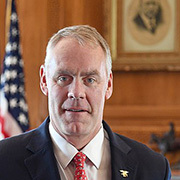 The Society of Environmental Journalists and 10 other journalism groups have written Interior Secretary Ryan Zinke (pictured, left) urging him not to interpose political appointees between reporters and the scientists they need to interview. Text of the letter is here. For decades, the U.S. Geological Survey, home to some of the nation’s best Earth scientists, has helped journalists help the public understand difficult but important science. The agency’s transparency not only improved people’s lives, but also actually saved lives. Not anymore. Under the Trump administration, it appears that USGS scientists must get approval from politically appointed public affairs officers at the main Interior press shop before they can do an interview. Interior’s exact policy is not crystal clear. The Los Angeles Times broke the story of the policy change June 21, based on agency sources and emails. But an Interior spokesperson, without denying that scientists needed permission to do interviews, disputed that policy had changed and claimed it had been set during the Obama administration. 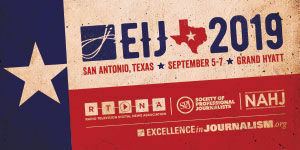 Other journalism groups co-signing the letter included the American Society of News Editors, Associated Press Media Editors, Association of Alternative Newsmedia, National Association of Black Journalists, National Association of Science Writers, National Press Photographers Association, Online News Association, Radio Television Digital News Association, Reporters Committee for Freedom of the Press and the Society of Professional Journalists. The groups’ letter also expressed concern that USGS scientists are now required to get permission from political appointees to attend scientific meetings. That story was reported by the Washington Post June 14, 2018, and December 22, 2017.